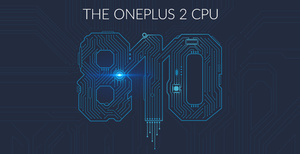 The team over at OnePlus has revealed yet another detail about the upcoming OnePlus 2 flagship this weekend during an AMA on reddit. Confirmed is the fact that the company will use a 3300mAh battery for their upcoming smartphone, larger than its predecessor's 3100mAh battery. The company also confirmed that the camera is a high priority and that there will be a fingerprint sensor, which has also been rumored for some time. Sadly, in order to get the new phone you will have to go through the arcane invite system, but OnePlus says the system has been improved. Additionally, OnePlus One buyers will get priority. Finally, the company is adding more band support and will ship three separate models - one for NA, one for China and one for Europe. The NA model will work on GSM 850, 900, 1800, and 1900MHz, WCDMA bands 1/2/4/5/8, and FDD-LTE bands 1/2/4/5/7/8/12/17. The other models will work on GSM 850, 900, 1800, and 1900MHz, WCDMA bands 1/2/5/8, and FDD-LTE bands 1/3/5/7/8/20 giving plenty of options for the unlocked device. The OnePlus 2 becomes official on July 27th via a virtual reality launch.